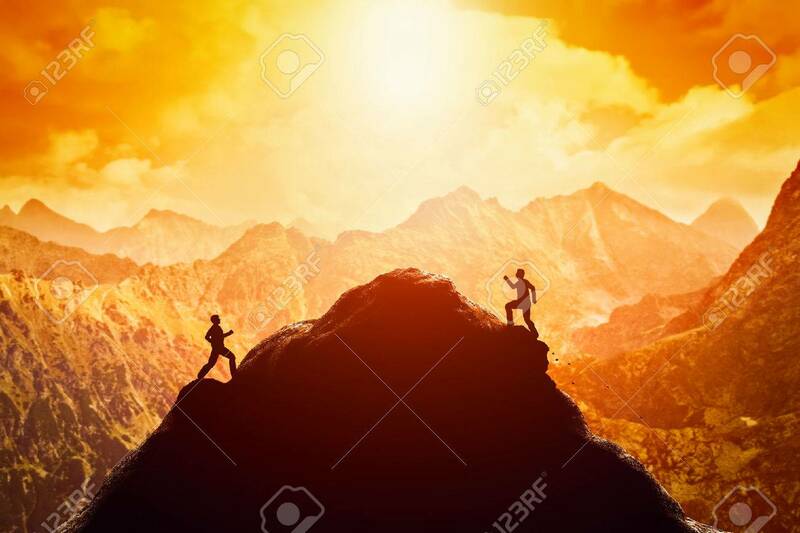 Two Men Running Race To The Top Of The Mountain. Competition,.. Stock Photo, Picture And Royalty Free Image. Image 54941542.